This category contains posts written by Deb Wahlstrom. Just the other day, a new principal asked me about the concept of triangulation. It’s one of those terms we use in working with data, and I thought I’d write briefly about it here. Take a look at the following visual. There’s a message. Can you tell what it says? Let me give you a piece of “data”. See if that helps. Can you now tell what the message says? Still can’t quite tell? How about if I give you a second piece of data. Take a look and see if you can tell what the message says. Hmm, not quite? That’s because two pieces of data won’t always be enough to give you the big picture of what is going on in a content area. Let’s add a third piece of data. What does the message say? Even though you still cannot see the whole message, you likely have a very good idea of what the message says: “High Student Achievement in America’s Public Schools.” You are able to see that because I’ve given you enough data to see the picture of what the message says. When we work with data, it is important to remember that one piece of data does not tell the whole story of a student, a school, or a district. It takes numerous pieces of data to paint a picture of how things are really going. Triangulation is when we use three or more pieces of data to help us paint a more accurate picture of whatever it is we are studying. In a school, we might be looking at performance in English Language Arts, Mathematics, Science, or Social Studies. For each, we’d use three or more pieces of data to begin to understand achievement by content area. percentage of students proficient on state reading assessment. percentage of minority students proficient on state reading assessment. percentage of economically disadvantaged students proficient on state reading assessment. percentage of special education students on proficient on state reading assessment. percentage of English language learners proficient on state reading assessment. percentage of students at grade-level as measured by district benchmark test. percentage of minority students at grade-level on district benchmark test. percentage of economically disadvantaged students at grade-level on district benchmark test. percentage of special education students at grade-level on district benchmark test. percentage of English language learners on grade-level on district benchmark test. percentage of students meeting 90% or more of the grade-level student learning objectives. percentage of minority students meeting 90% or more of the grade-level student learning objectives. percentage of economically disadvantaged students meeting 90% or more of the grade-level student learning objectives. percentage of special education students meeting 90% or more of the grade-level student learning objectives. percentage of English language learners meeting 90% or more of the grade-level student learning objectives. In all cases, we looked at overall results, but also disaggregated the data by subgroups, to monitor the performance of all the students being served. We can determine if there are gaps in achievement well before a state test is given if we monitor the performance of subgroups on other assignments and assessments. 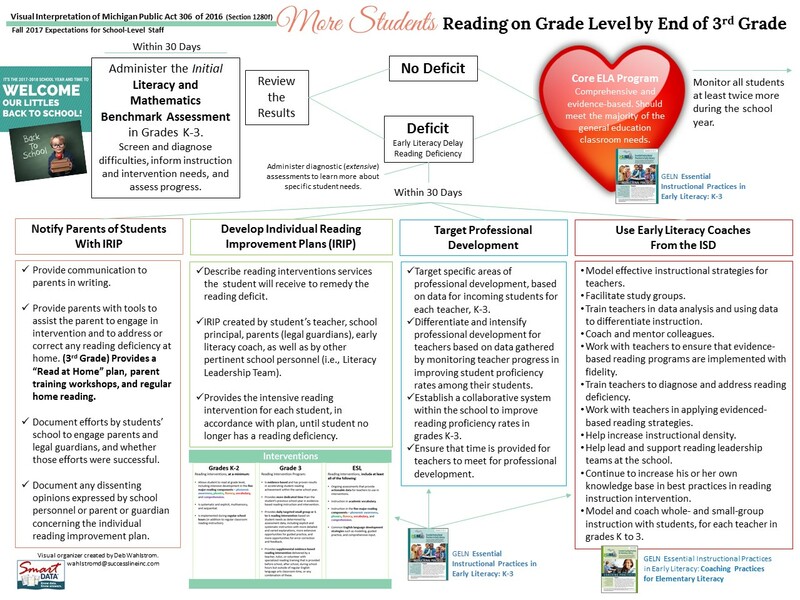 Additional measurements could be added in, like quick surveys asking students about their reading habits and how much they enjoy reading – and could even be done at the beginning and end of the school year to determine if you’ve made some leeway in building good reading habits and attitudes. You could also include performance-based assessments such as having students read aloud (and have this recorded) and hold discussions about what they’ve read. While we don’t have much say about what the state assesses, we do have say about what a district, school, and classroom teacher assesses – so assess what matters! Triangulating the data will help you know for sure if students are on track! I added the red, but the source of my puzzle design is from Dancing Crayon Designs (Teachers Pay Teachers). Love her work! It’s really a beautiful property. The old house, garage, and barn have been removed. All property upgrades have been completed. All icky old tanks in the ground have been removed and disposed of correctly. The lush property sits at the intersection of Route 58 and Wilroy Road. The QVC Warehouse is right down the street. Bunnies Restaurant is your neighbor. The property has been rezoned to Business. It’s 3.3 acres that backs up to the Nansemond River. There’s a shared pond on the property that gives a unique feel. There are plenty of trees and the beauty of nature. Suffolk’s Planning Department is easy to work with – and this is a terrific city in which to live and work. There are so many things you could do with this property; contact Mark today to make this property yours! What?????? If you’ve been keeping up with SBAC, you’ve already seen this. If you’re one of our teaching colleagues in Michigan, make sure you download the vocabulary and integrate the information into the good work you are doing in your lessons. The introduction in this document basically says to pay attention to the vocabulary in this document. It was released in Michigan on May 31, 2016 – just before summer vacation, so you may not have had the chance to loll over this during the summer. The beginning of the new school year is a good time to review the document and think about how you’ll use it in a way that fits within your lessons. Below you can link to the whole document, or just the grade levels you need.